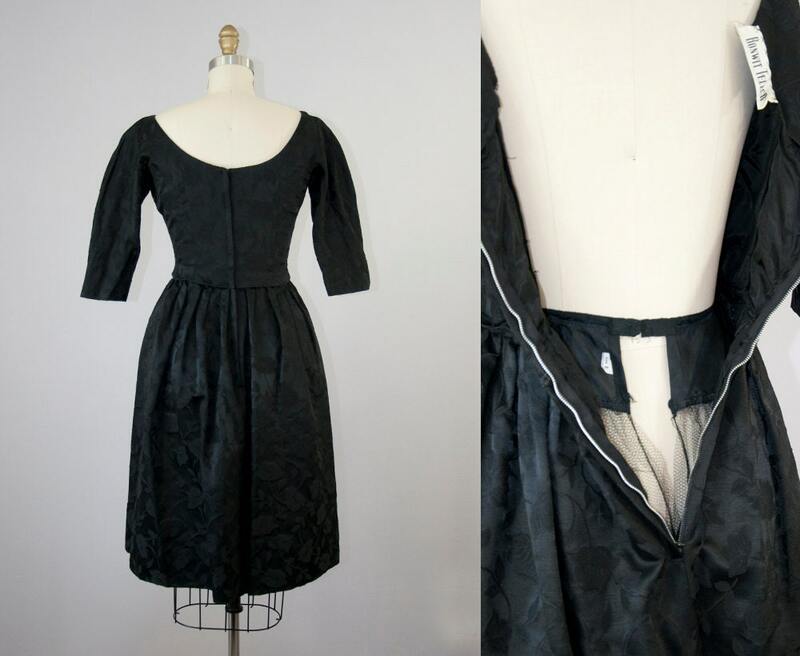 Gorgeous 1950s black silk brocade dress from Bonwit Teller. 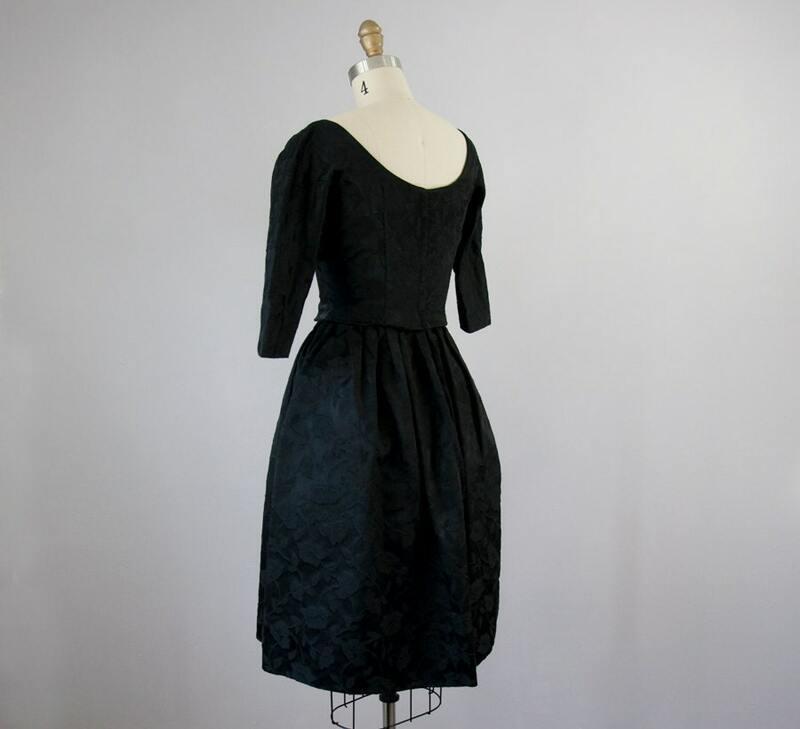 Classic black little cocktail dress. 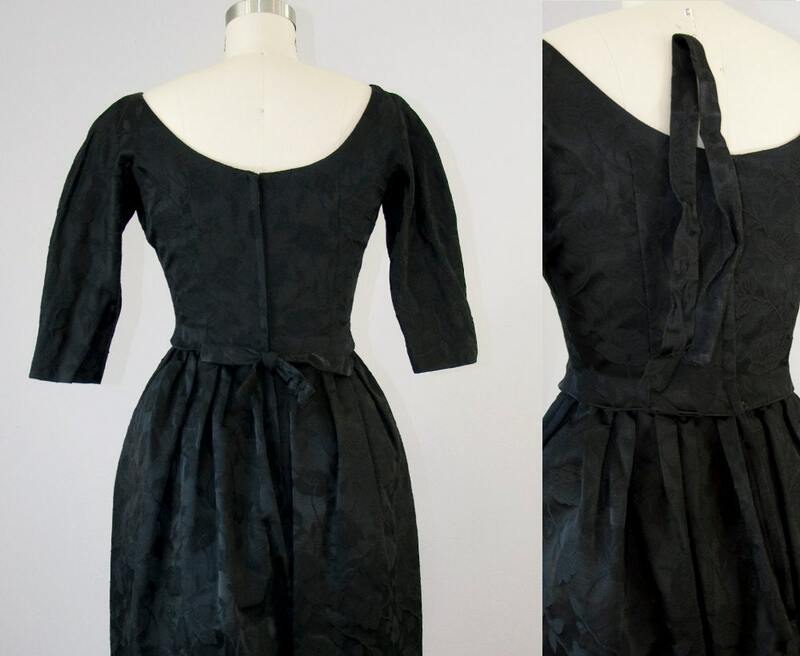 Fitted bodice with a full pleated skirt. 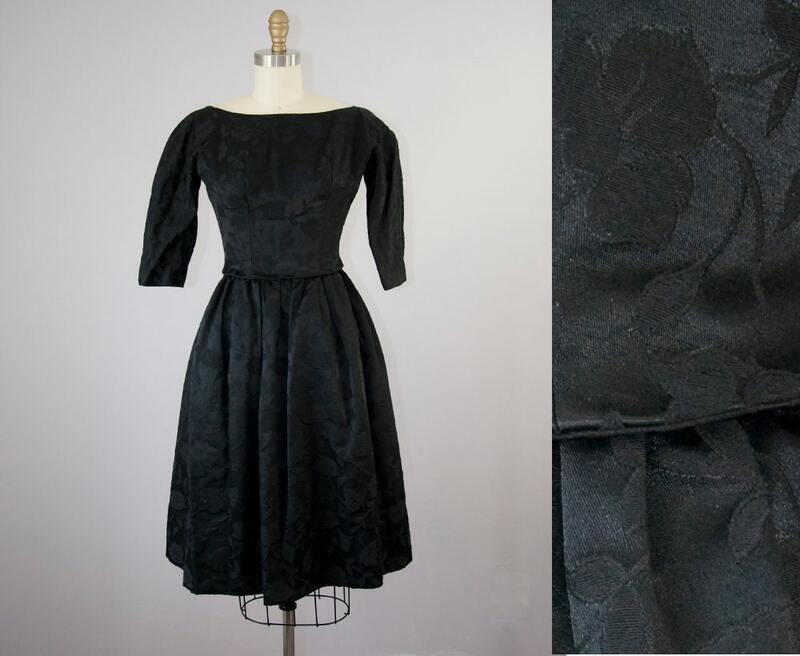 Attached black tulle crinoline (could be easily snipped out. Sleeves fall just past the elbow. Back metal zipper. Self fabric to make a bow -- shown in last photo. 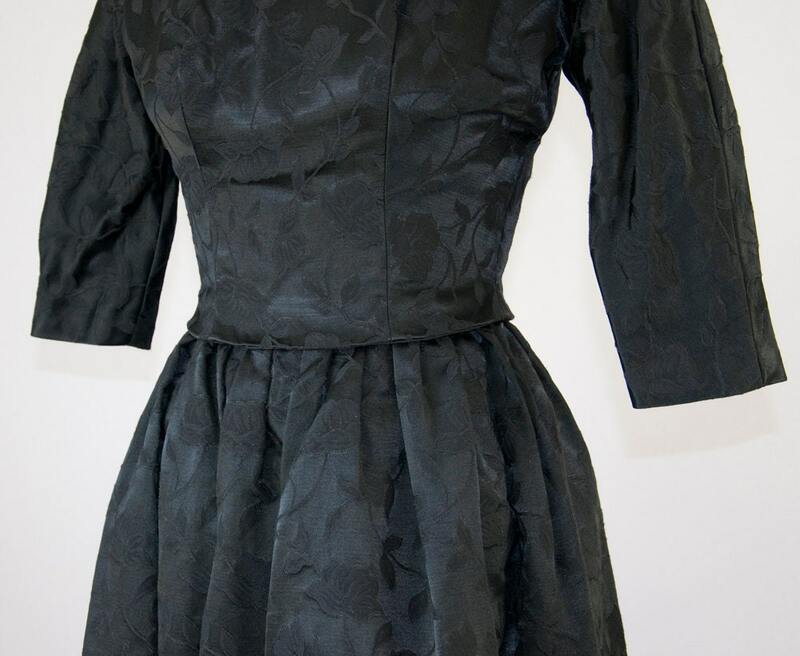 Bodice is fully lined; skirt is not. Across Shoulder Line: 11 1/2"
HPS to Waist Length: 15"